E-waste legislation has been passed in 25 states and the District of Columbia. The laws vary from state-to-state. In California, for example, consumers pay a fee of $6-10 whenever they purchase “video display equipment”. This fee is eventually passed down to e-waste recyclers that help consumers responsibly recycle their electronic devices. A number of states require the manufacturers of electronic devices to create consumer recycling programs. For example, TV and computer equipment manufacturers are required to offer free recycling opportunities to consumers in Texas. Many manufacturers have launched electronic mail back programs to ensure they stay compliant with laws like these. What Are Electronic Mail Back Programs? Mail back programs give consumers and businesses the opportunity to recycle their electronic devices by mailing them back to the manufacturer. Some of these programs are completely free for consumers, however others ask consumers to cover the cost of shipping, while others charge consumers for recycling the product. Each mail back program is unique. It’s common for manufacturers to ask consumers to order boxes and packaging materials to use when shipping electronic devices. This may seem unnecessary, but it’s not. Electronic devices are fragile, and they also contain hazardous substances, so it’s crucial to pack them in materials that will keep them safe and intact until they’ve reached their final destination. 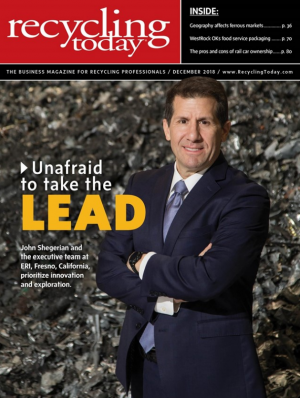 Some manufacturers have established mail back programs because they are legally required to do so, whereas others have created one of these programs because they are committed to going green. Most consumers do not want to spend a lot of time figuring out how to recycle their electronic devices. If there isn’t an easy way to do it, they probably won’t do it at all. Sending something via mail is incredibly convenient, which is why most consumers prefer this type of recycling program. If a mail-in program is not available, consumers will have to research electronic recycling facilities in their community, and then find time to drop their devices off. While many retailers accept electronics for recycling, electronic recycling facilities are not as common as standard recycling facilities, so consumers may have to travel longer than they would like in order to dispose of their electronics. Every consumer, even those who live in small, remote cities, can participate in mail back programs with ease. ERI often partners with manufacturers to assist with their electronic mail back programs. ERI’s clients can purchase 19 different types of boxes that are designed to hold various electronic devices and keep them secure while they travel via mail. The boxes come in many different shapes and sizes, including small boxes that are perfect for smartphones and large boxes that are designed to hold about 600 lbs. of weight. The boxes are also specially designed to keep the devices intact so no one is exposed to hazardous substances they contain. For example, the mercury vapor box is designed to securely hold lamps containing small amounts of mercury in order to reduce the risk of exposure to this hazardous substance. The boxes are shipped flat, so consumers must put them together once they arrive. A return label is included in the shipment to make the process easier on the customer. 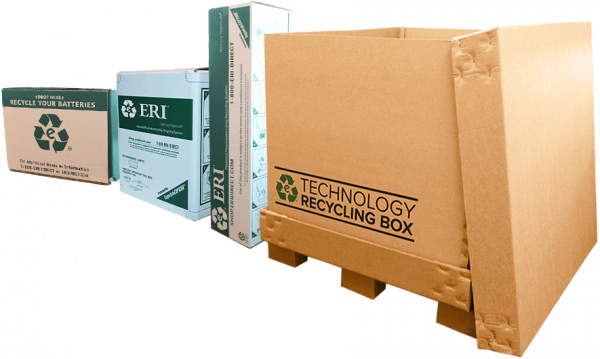 Once the boxes have been put together, the devices can be packed and shipped directly back to one of ERI’s recycling facilities. UPS is ERI’s logistics partner, so they are responsible for picking up and shipping your electronic devices as long as they are inside these boxes with the ERI return label. Each box comes with tracking and reporting options, so customers can track the status of their shipment and receive confirmation that their devices have been safely recycled. The devices that are sent to ERI will be handled with the utmost care. First, the data on these devices is destroyed so consumers’ personal information does not fall into the wrong hands. After it has been destroyed, it is impossible for anyone to recreate or read the data on the devices. If a device is still in good condition, it can be refurbished and resold. If it’s not, it will be sent to the state-of-the-art electronic shredder, where it is crushed and broken down into small pieces. Then, a team will sort through the small pieces and separate them by material so they can be resold. The devices that are sent to ERI will never end up in a landfill or recycling facility on the other side of the world. All of the devices are responsibly and safely processed in our facilities right here in the U.S. This program is ideal for manufacturers that are legally required to establish mail back programs for electronic devices. ERI is the leading e-waste recycler in the U.S., so we have the resources to handle large-scale electronic mail back programs. ERI has electronic recycling facilities in California, North Carolina, Washington, Colorado, Indiana, Massachusetts, and Texas. Every year, our facilities process over 250 million pounds of electronic waste for clients in a variety of different industries. For more information on how we can assist with electronic mail back programs, or to request a quote from ERI, contact us today.